Like Merchant Ships: What's Wrong With This Picture? 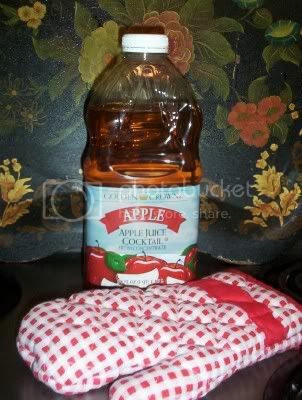 This is not a bottle of apple juice, but a high-fructose-corn-syrup cocktail with "essence of apple" somewhere at the bottom of the ingredient list. Sneaky retailer, who slipped this "juice" in the same spot I normally reach for a bottle--you somehow managed to fool the Queen of Label Reading. The worst part? I had just delivered a sanctimonious grocery lecture to the little one. He wanted to buy dry cereal because "it would build my muscles" much like the strong-armed child on the box. We agreed that we would watch out for the tricky colors and pictures together. It should be called "Chemical Cocktail" instead of Apple Juice Cocktail.